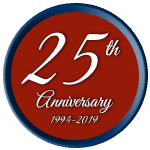 Since 1995, GHM has been the innovative and creative kitchen design and installation experts serving Pewaukee and the surrounding communities with top-quality materials, master craftsmanship, and unsurpassed customer service. 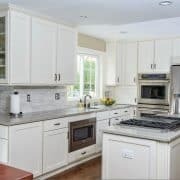 From classic to cutting edge, the kitchen design experts at GMH can build your kitchen the way you want — we want to take the vision you have for your new kitchen and make it a reality! If you are considering a makeover for your bathroom or adding a new bathroom to your home, GMH can work with your design ideas as well as suggest a variety of options to create a wonderful spa-like space in your home. 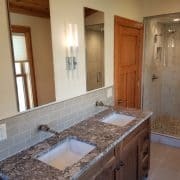 We can add superior styling and quality name-brand fixtures, lighting, tiles, and new plumbing to create the perfect bathroom to meet your needs for functionality and style. From spa-tubs, to adding a walk-in shower, or perhaps adding multiple sinks with a marble countertop—GMH can do it all, big or small! Add extra living space for you and your family with a basement remodel! A nice, finished basement renovation by GMH will also add style, function, and value to your home. 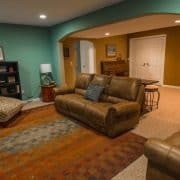 We can turn your basement into a cozy family room, a home theater, or even add a bathroom, bedroom, or bar area! Our top-quality basement finishing products are water and mold resistant and will help turn your basement into a beautiful living space that you will enjoy for years to come. If you are considering a new sun room, bedroom, den addition to your home, or anything in between, look no further than GMH Construction! 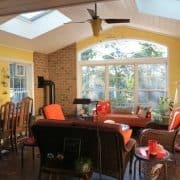 We will work with your ideas to design and build a home addition that you will love for the life of your home! A new home addition not only adds room and beauty to your home, it adds style and value. If your family is growing and you need additional space, but you love your home, consider adding a beautifully designed room built from top-quality materials by the experts at GMH!